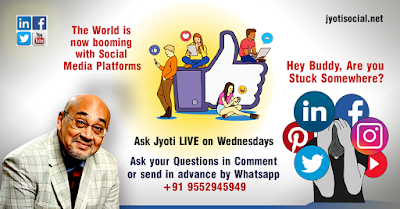 Social Media Marketing Blog by Jyoti: Social Media Marketing LIVE Discussions! Let us share social media news and helpful content. This is a 'FREE' public event. Organised by Jyoti Social. Be a part of it & Please Share.